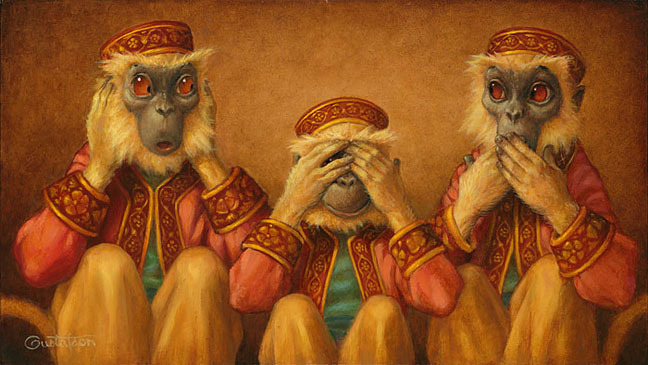 The proverb of the Three Wise Monkeys, commonly known as “hear no evil, speak no evil, see no evil” most likely originated in Japan hundreds of years ago. Since then it has become an internationally recognized image, interpreted by artists around the world. Scott Gustafson adds his own playful touch to the three wise monkeys in his latest contribution to the SmallWorks™ collection.